Hello my AMAZING Unity peeps! Just for you, I have a bright and happy card to start out your Sunday on a cheerful note! YAY! 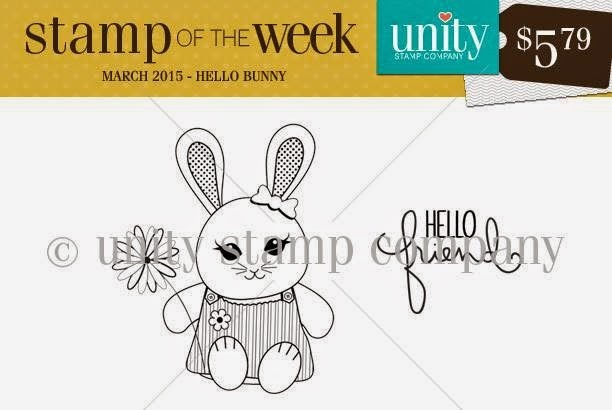 This super ADORBS bunny is from this week's brand spankin' new Stamp of the Week set! 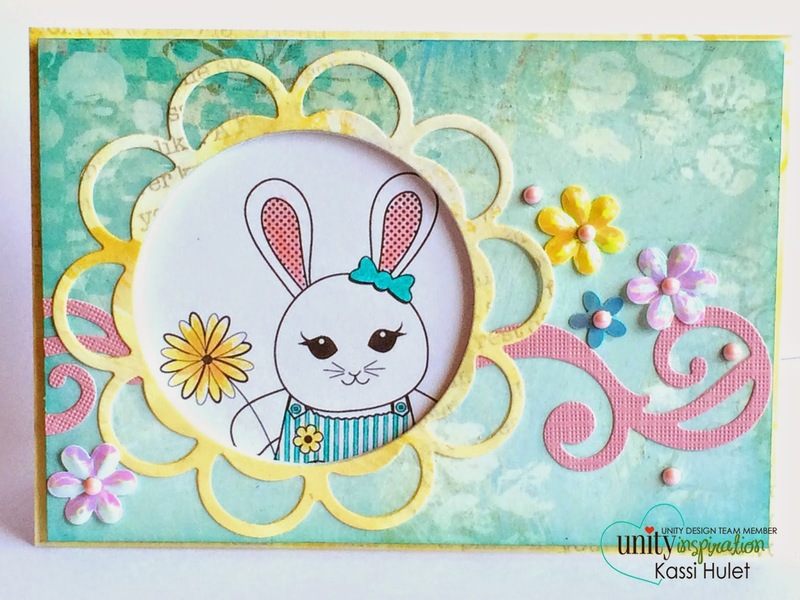 Absolutely perfect for Easter, spring, or any cheerful little note! If you aren't a member... Well, the only way to bring this bunny home is by signing up HERE. Signing up means you will AUTOMATICALLY get a brand new, exclusive stamp sent to YOUR mailbox EACH week. How awesome! So what are you waiting for? Go sign up!